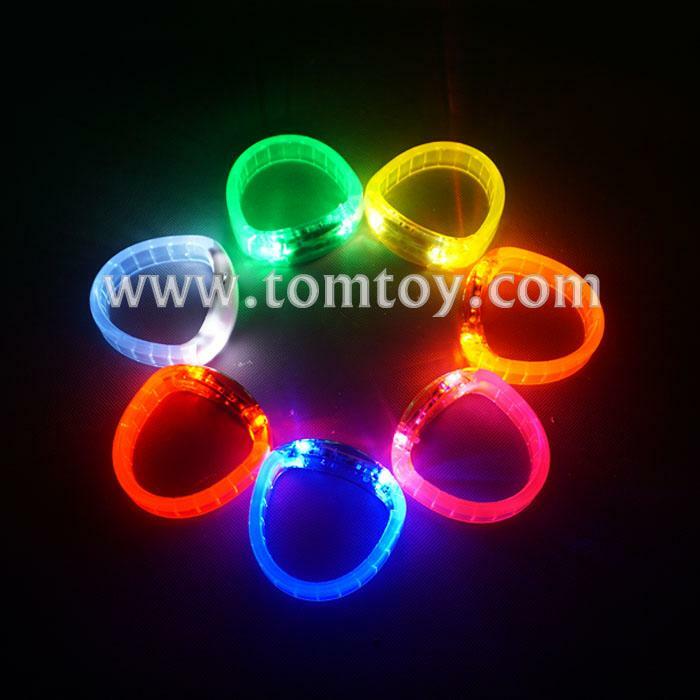 1.Chunky plastic wristband with LED lights multi sequence. 3.These bracelets have 3 functions: fast flashing, slow flashing, and constant on. 4.Available in red, blue, green, orange,pink,white,purple,yellow and assorted colors.